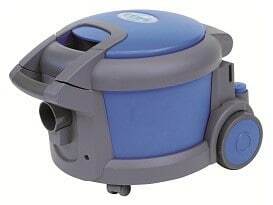 The right floor scrubber dryer can be like an extra member of staff for a busy cleaning team, if carefully chosen. A bad choice can end up expensive, time consuming and inefficient. A nightmare scenario for any business is an unused floor cleaning machine that sits in the corner or a broken one where it’s been used for the wrong purpose. There are so many choices of floor cleaning machines available in the market today that it can be quite overwhelming to choose the best for your business, that’s where Clemas & Co can select and recommend floor cleaning machines that are right for you and your particular cleaning tasks. Clemas & Co have been in the industrial cleaning business since 1988 and know that a consultative approach to finding the perfect floor cleaning machine that exactly meets your needs will be best for you and your cleaning team. A consultative approach means that early on we get a full understanding of every aspect of your particular cleaning activities and how this relates to your business activities. 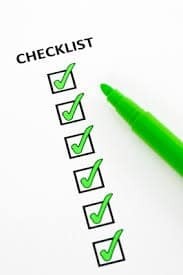 You will be asked lots of questions by your dedicated sales person who will also visit your site and conduct a comprehensive site survey before any cleaning machines are recommended. This may seem an arduous process at first but investing some time and effort at the start will certainly save you hassle, stress and money in the long run and prevent a wrong choice, sub-standard cleaning results and wasted money. Are you or your staff using a cleaning machine already? If you have been using a particular floor scrubber dryer that has done the job well for you we will not recommend something different for the sake of it. It may be the case that there are additional features on another scrubber dryer, or a newer model of the one you currently have that has improved features that may benefit you and improve your cleaning activity further, in this instance we may recommend a different machine. The Tennant Autofill battery technology that has recently been introduced is an example of recent improvements to scrubber dryers, we can advise you on the latest developments in the market and how these can or can’t help improve your cleaning. 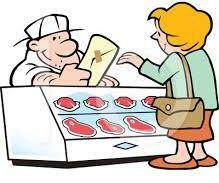 Every business is striving to keep costs to a minimum and get the best value for money. We will work with you to achieve this as we select from a wide range of cleaning machines to suit all budgets. Fully refurbished used machines or ex demo models may be a cost-effective choice for some, Clemas has a large fleet to choose from. The long-term leasing option of up to five years is also an option, this can help to ease cashflow. Clemas will find a bespoke solution to suit your particular budget targets. How Frequently Will Your Floor Cleaning Machine Be Used? Frequency of use will define value for money and this is considered during the machine selection process. 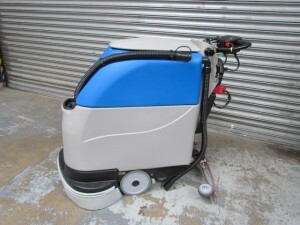 Better quality machines may be more suitable for frequent cleaning of highly soiled areas, or if hygiene is very important, however, if you only clean once a month then it may not be a large complex floor scrubbing machine you need but a simpler solution, a mop and bucket may be all that you need. We won’t sell you what you don’t need, this approach is why Clemas & Co has grown from strength to strength since 1988 with many loyal customers who trust our expert advice and recommendations. What Are You Going To Be Cleaning? Oil/grease? Dust? Hazardous material? Litter? Wet and Or Dry? Each type of dirt/debris will need a different machine, pad or brush, machine strength/power and answers to this essential question are needed when deciding which machine is most suitable for the particular cleaning job at hand. What Type Of Floor Are You Cleaning? A disc machine with a pad holder is the most versatile because you can change the floor pad to suit the floor and type of dirt/soiling that needs removing from the floor. This works well on a relatively smooth floor, a floor that marks easily or a range of different floor material types. Cylindrical machines have roller brushes with a high R.P.M. (turning speed of the brushes) and high contact pressure with the floors. 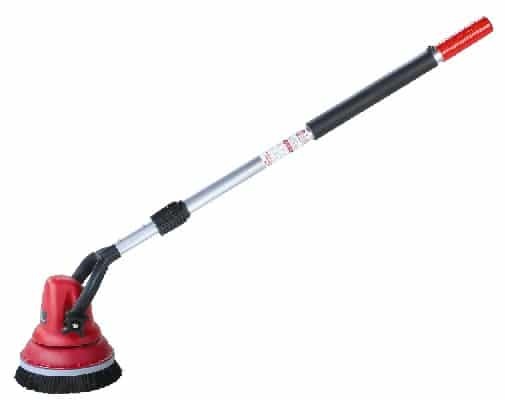 These scrubber dryers are ideal for cleaning ingrained dirt out of uneven, undulating floors, cracked floors and other rough finishes. Your dedicated Clemas & Co sales consultant will select and recommend the right machine type and accessories to match your particular cleaning task and floor surface type. Is Cleaning Taking Place On One Level Or Over Several Floors? Weight and ease of use of your floor scrubbing machine will be important if there are several levels in the building and no or few lifts. Most scrubber dryers are battery powered and for many good reasons. Moving it around and cleaning a number of floors with no trip hazards that a cable machine brings makes a battery-operated machine essential. Consider the run time for a battery scrubber dryer so it does the job in one charge, most types will need charging, uninterrupted for up to 12 hours. Some scrubber dryers will mean less time is needed to clean because of their efficiency and speed, this may mean that less cleaning staff are needed. We will explain about the time your floor cleaning machine takes to set up and clean down as well as usage time and see what is the best option for your business. The size and accessibility of area to clean will also determine what size and type of floor cleaning machine will be suitable, and whether it’s worth investing in a ride on machine rather than a pedestrian/push along floor scrubber. If you need to use the machine for several hours at a time which is often over a large floor area then battery length of run time is key. On larger ride on floor cleaning machines, diesel, petrol or LPG can also be considered, these have environmental implications which need thinking about. Don’t worry if you don’t know the exact floor area measurement in meters or feet, we often ask what the size of your floor is in relation to a football pitch. Cleaning When There Are People Around? A mains powered machine will fast become a health and safety issue if there are people constantly around to trip over your cable, the mains powered option is only available for the smaller machines. If cleaning has to be done when there are people around, e.g. in a supermarket or an airport then it will usually be a battery powered cleaning machine. The noise level of the machine will also have to be considered. The Questions Are Done, So What Happens Next? Your dedicated Clemas account manager will use all your information to select the most suitable floor cleaning machine for your particular cleaning needs. There may be just one or there could be several choices of cleaning machine, it all depends on your particular situation. After the site survey and the machine selection is done, we will come to your site with the recommended floor cleaning machine (or more than one) and you will get a full, free of charge demonstration. You benefit from seeing for yourself the various features and cleaning results the machine(s) will give you in their intended environment. You and your cleaning staff can try out the machine to see if it will be suitable. Whatever machine you end up purchasing, Clemas & Co’s consultative approach means that you will get a bespoke solution that exactly meets your cleaning needs for the best possible cleaning results. 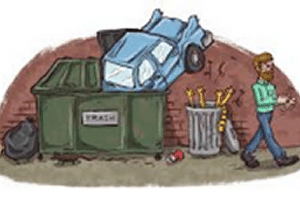 You won’t have a cleaning machine that is unused and gathering dust in the corner that is a waste of money. There are several aspects to think about to ensure your floor cleaning machine continues to clean to the same standards as when it was new. Regular servicing or preventative maintenance, user training and ongoing refresher training, spare parts, consumables and accessories and chemicals are available from Clemas & Co. Expert advice is available throughout the lifetime of your cleaning machine so you are fully supported in all aspects of your cleaning activities. Make sure you choose an established company with well trained and experienced engineers and staff who are able to support you, even if you have a large complex cleaning machine. After making an important and often substantial investment in your cleaning operation, Clemas & Co will work with you so your machine lasts for many years to come and consistently produces the best possible cleaning results. Call our sales team today on 01684 850777 or e mail info@clemas.co.uk and let’s work together to create a bespoke solution for you. Easy availability of clean drinking water is something we take for granted in the UK, in several places around the world this is sadly not the case. Worldwide 2.7 billion people suffer from a shortage of drinking water. Access to clean drinking water is still a problem in Africa and Asia, women and children walk an average of 3.7 miles a day just to collect water. One in 10 people lack access to clean water, 159 million people are still using surface water, for example, from puddles. There is now something that businesses can do to help improve this situation while benefiting at the same time from an improved cleaning result and reduced cleaning time, it’s called the Made Blue program. What Is The Made Blue Program? Made Blue matches the average amount of water saved when using the i-mop Xl or the i-mop XXL by generating equal amounts of clean drinking water in developing countries, 1 litre for 1 litre. The average amount of water saved by using the i-mop XL or XXL is 73000 litres over a year. The water that is saved mirrors the provision of clean water in developing countries. The Made Blue program has already provided an impressive 1,2 million litres of easily accessible clean water to those desperately in need. Why The Made Blue Program? Manufacturers of the i range of products including the i-mop XL and i-mop XXL believe that they can eventually give everyone in the world access to clean drinking water. Working together with experienced partners in the areas where improvements are needed, the Made Blue Program invests in projects to provide and maintain access to much needed clean drinking water. Contact the sales team at Clemas and we can explain to you how the i-mop XL or the i-mop XXL can improve the efficiency and effectiveness of your particular cleaning activity. Your business could soon also be contributing an average of 7300 litres of water to developing countries through the Made Blue program. Water is made available to people and communities who currently don’t have access to clean, safe, accessible drinking water. The i-mop saves more water than most similar scrubber dryers so water is saved every time it’s used, less waste, more profit. The first of its kind, the i-mop solves the problems of traditional floor cleaning systems by combining the flexibility of a floor mop with the power and speed of industrial scrubber driers. Most areas are still being cleaned by mop and bucket because other floor machines are just not flexible enough to work in small confined spaces, or they are too heavy to take upstairs if there is no lift in the building. What would take an hour to clean with a traditional mop and bucket, (which is also less hygienic), will take only ten minutes with the i-mop, freeing up valuable time to spend on other facilities management activities. Tim Coghlan is the Managing Director of Braunston Marina Limited, a well established canal narrowboat marina located at the crossroads of the Grand Union and Oxford canals in Northamptonshire. Braunston Marina is a major centre for leisure craft and narrowboats, with modern mooring facilities for 250 boats and over two miles of wooden pontoons that need to be maintained. It also sells all types of new and used narrowboats, there are two dry docks, and a wet docks, a craneage pad and a service area capable of most repairs. Tim and his team needed a high performance, industrial strength pressure washer to clean the decked piers in and around the boat moorings allowing safe access for the marina’s many visitors and residents. With mature trees surrounding the Marina’s two basins, there is quite a large build up of algae and moss on the pontoons during the winter months, which with traditional pressure washers, were slow and messy to clean, and required moored boats to be moved away from them whilst this was being done. Tim spotted an advertisement for the Hurricane Combi industrial pressure washer range and contacted Clemas & Co, a family run business based in Tewkesbury. Tom in sales at Clemas takes a consultative approach to matching the right cleaning machine to the particular cleaning task at hand. Tom explained, “We discussed how the pressure washer would be used and what it was going to clean. Once I had all the necessary information we considered two Hurricane Combi industrial pressure washer options, these were the P2 and the larger P4 model. These industrial cleaning machines were chosen based on the manoeuvrability, physical widths and weight of the two machines. I discussed with Tim the pros and cons between the petrol and LPG for the Hurricane P2. Both models were quoted competitively and following this Tim promptly requested a free of charge demonstration for the following week”. The rotary twin jet system of the Hurricane Combi range is designed to clean these types of applications and in addition is supplied frequently to customers wishing to clean large floor areas such as pavements, driveways, sports grounds and yards. The spinning arms turn at 2000rpm with the jets just millimetres from the floor surface ensuring an efficient and superb cleaning performance. The Hurricane P4 Combi has the added advantage of a standard lance and hose attachment for conventional pressure washer use too, just simply select which system you wish to use by the lever and the water flow will be directed to one or the other depending on your application. Tim was happy with our prompt service, expert advice and product information and loved the machine from the demonstration. The order for a Hurricane P2 Combi pressure washer was received within 24 hours of demonstration so they could get on with the cleaning before the winter set in. The purchase also included a 12 month service contract, a wise choice since it’s an engine powered unit. The contract means the pressure washer is serviced twice a year by a specialist Clemas engineer at the Braunston Marina. These service contracts often prove to be more cost effective in the long run as they reduce the chances of unexpected break downs that lead to cleaning down time, or inferior cleaning results from using a machine that may not be working at its best. 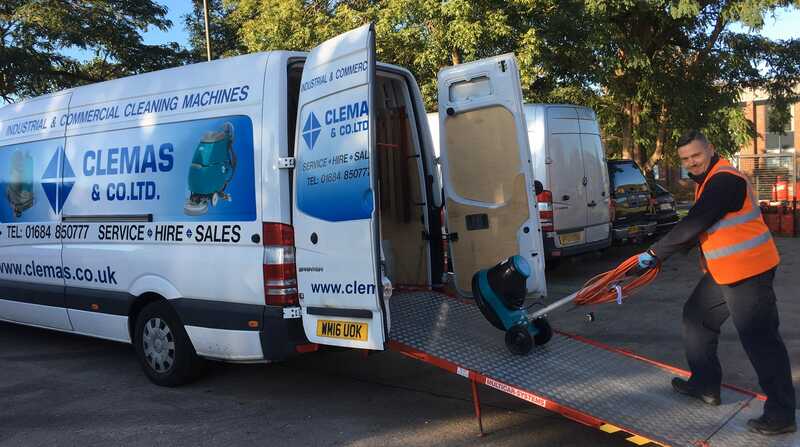 Tim went on to say “There are several companies offering the same products but the level of service and the approach to choosing exactly the right machine for the particular task is what makes Clemas stand out from the rest. They make sure the cleaning machine is the right one through asking a number of questions relating what we are trying to achieve. Their knowledge and experience has ensured I haven’t wasted money on the incorrect machine”. 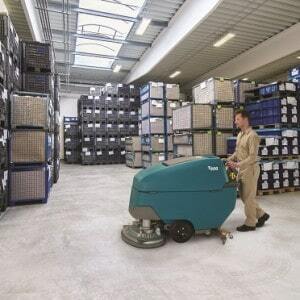 An industrial floor cleaning machine such as a pedestrian or ride on scrubber dryer can be an important asset for an organisation and will most likely lead to a budget discussion and the different payment options available. One choice is to buy a second hand floor cleaning machine which has its pros and cons, but if you follow some simple guidelines it can be a smart move. The main benefit to buying a used cleaning machine is cost, you could make significant savings compared to buying new. You can potentially afford a better, upgraded machine that otherwise wouldn’t be within your budget if bought new. There are a few things you need to bear in mind when buying a used machine to ensure you get a reliable, quality machine that doesn’t end up more expensive through unexpected breakdowns or parts and accessories that need replacing sooner than expected. Make sure you do your research and are confident that the company you buy your machine from is established and has a good reputation for customer service. Reputable cleaning machine suppliers are usually authorised by large companies such as Tennant or Demon to sell their products. Don’t end up with a situation where the company does not want to take responsibility for any issues, or doesn’t have the expertise to be able to repair the machine. If any of these scenarios became a reality for you, this can often lead to lost cleaning time and a high possibility of substandard cleaning results while its being repaired. Clemas & Co have been operating since 1988 and have grown from strength to strength during this time. We are proud of our good reputation for customer service and the team of experienced engineers who have refurbished, serviced and repaired floor cleaning machines for several years. Always check if you are buying a used battery floor scrubber dryer that a new battery/batteries have been fitted, particularly if the machine has already had a substantial amount of use. Batteries usually need to be replaced after a certain amount of time and usage and can be expensive, so make sure you avoid this unnecessary additional cost. At Clemas & Co you can be sure that all of our used battery floor cleaning machines will have been fitted with a new battery as standard. The battery comes with a 12 month warranty for even further peace of mind. 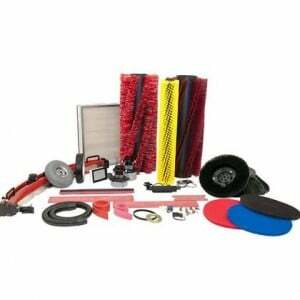 Before buying a used floor cleaning machine, check that you can still purchase the spare parts and consumables or how readily available are these to purchase. This will avoid the situation where the machine cannot be repaired, or takes a long time to source the parts and therefore has to be scrapped and a new one bought, or cleaning downtime, both situations end up more expensive in the long run. Some floor cleaning machines have an hour meter and so it’s worth asking if one is fitted on the machine you are interested in and if so, ask how many hours it has clocked up so far. A reputable cleaning machine supplier should sell used cleaning machines with a warranty so you can be certain that the machine is of adequate quality, this will give you peace of mind in the event of an unexpected breakdown. Clemas & Co offer a minimum of 3 months warranty on all used floor cleaning machines as standard. This covers repair of a mechanical fault through normal usage by trained cleaning staff. 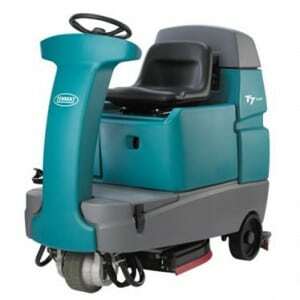 The Tennant T7+ 80cm is a battery powered ride-on scrubber dryer with a 800mm scrubbing and a 110 litre solution tank capacity. 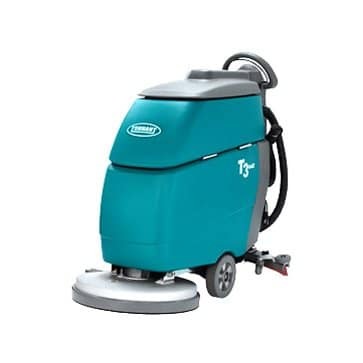 To What Extent Has The Used Floor Cleaning Machine Been Refurbished? Be sure to ask if a used machine you are interested in has been refurbished and ask for information about what work has taken place. Depending on the condition of the machine, it may be part or fully refurbished and this will ensure the vital working parts of the machine are in the best possible condition. 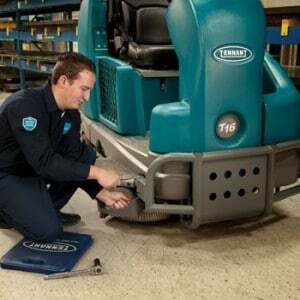 Regular servicing of a floor cleaning machine, particularly large complex machines such as ride on scrubber dryers and sweepers and pedestrian scrubber dryers will be valuable in extending the life of the machine. Regular servicing will also improve the resale value. It is worth asking if there is any service history information available before you go ahead with the purchase. At Clemas & Co the servicing of industrial cleaning machines is our core business. We have a number of different services packages to choose from which range from an annual package to a one-off service. Clemas have the expertise and experience to service large complex machines, something that not many cleaning machine suppliers are able to do. Used industrial floor cleaning machines will most likely have a few scratches and marks through usage over time, this is normal. If you are dealing with a good cleaning machine supplier they will be able to send you photos of the used machine so you can see for yourself exactly what state the exterior of the machine is in. This can save a great deal of wasted time if the machine turns out to be not what you were expecting if brought along for a demonstration. Although buying a used floor cleaning machine is a budget friendly choice, you can free up capital and a good supplier will give you the choice to lease the used machine for a period of three years. The lease option would include regular servicing of the machine where an engineer comes to your site, this can be a hassle free and time saving option that makes good sense. Is The Used Machine Right For Your Particular Needs? At Clemas & Co we will never sell a floor cleaning machine without making sure the machine is right for your cleaning task(s). Using our consultative approach to selling floor cleaning machines, you may be asked several questions by your experienced, dedicated sales person about your cleaning regime, your business and what you are cleaning so we can be sure the machine is right for you. Be wary of companies that will sell you a floor cleaning machine without first asking you lots of questions to find out if the machine is right for your particular cleaning task and business environment. If this happens to you this will often be a sign that the company does not put the customer first and takes a product led approach to selling rather than a solutions led approach. A machine that is not matched properly to the cleaning job at hand will most likely end up damaged and work at a sub optimal level or break down. A poorly chosen machine could be a potential health and safety hazard i.e. a mains powered machine with a cable that runs across where people walk regularly while cleaning is taking place. The wrong floor cleaning machine will most certainly give you poor cleaning results ending up with inefficient use of resources and will probably end up being unused and take up space. 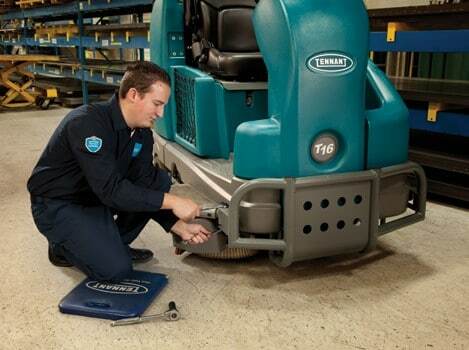 For consistently good cleaning results and reducing the likelihood of unexpected breakdowns and therefore cleaning downtime it is wise to have your floor cleaning machine regularly serviced. 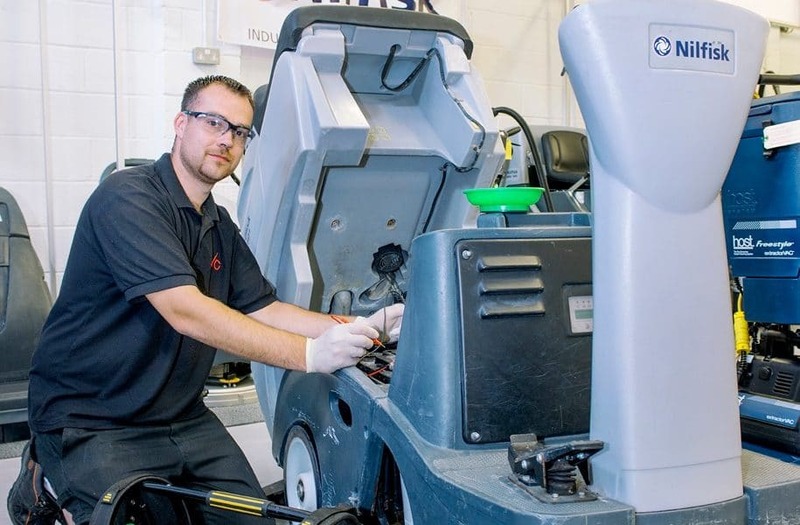 Clemas & Co started out servicing cleaning machines in 1988 and although there has been expansion into other areas such as sales and hire of floor cleaning machines, servicing remains the core of the business. Clemas & Co have a wide range of used floor cleaning machines to choose from, we offer a free on- site machine demonstration and we can help you choose a machine that exactly suits your cleaning regime and business so you have a bespoke solution. Take a look at our range of used cleaning machines here, please note that our stock is constantly changing so keep checking on a regular basis. Call us on 01684 850777 or email sales@clemas.co.uk for further information and expert advice. Clemas & Co Ltd was established in 1988 offering servicing, refurbishment and repair of industrial cleaning machines. Building on this success, the sale and hire of new and used cleaning machines has also been included, however, the servicing of cleaning machines has remained the core of the business to this day. Businesses realise that preventative maintenance has become more important than ever as budgets continue to be tightened and the focus on costs is key. Cleaning machines that are regularly maintained will last longer and become more cost effective in the long run, also, the trade in or part exchange value will most of the time be higher, saving even more money. Andy is one of eight experienced engineers who has worked at Clemas for 6 years, there is never a dull moment when he’s around, Andy loves a joke which always puts a smile on the face of anyone around him. Andy’s tattoos are always of great interest in the workshop and the office, what’s the next one going to be? Where will it be? Even customers he has worked with for years and built up a good relationship with are interested and keep up to date with developments. The working day of a cleaning machine engineer is an interesting and varied one and often with many challenges along the way. It is an important role where customer service needs to be of the highest standard at all times, working in the marketing department means I need to have a good knowledge of the business so I have decided to spend the day with Andy to understand more about the role that represents the very core of Clemas & Co.
Andy is at the head office in Tewkesbury where he collects the servicing paperwork and instructions for the day from Louise the Office Manager. It’s like an airport control tower as Louise coordinates the activities of the engineers across most of England and Wales in a way that optimises their time so customers are given the best, most efficient service as possible. The first stop for Andy today is a floor screeding company in Bristol and he quickly loads up his van with an Orbis Duo 400 Polisher. The flooring company hired one the previous week on a trial basis and decided to purchase one from us, within a matter of days it’s on it’s way. It’s an easy drive to Bristol and the traffic on the M5 thankfully is flowing well. Andy said that he travels much further on some days, as far as Yorkshire or Blackpool, it just depends on the work schedule. Clemas & Co Ltd service and repair large complex industrial cleaning machines as well as smaller ones throughout most of England and Wales so the engineers really get to know their way around the country. Today’s outing is a perfect opportunity to get to know Andy better, I know he has a good reputation as an experienced reliable engineer but find out from him that he has recently got married in Cuba, (very exotic!) and enjoys a well deserved holiday in Benidorm every year with his family. The time flies by as he entertains me with interesting stories fun times in Spain. We also talk about his work and from years of experience he explains that “cleaning machines are an important and often expensive asset to customers and if they get serviced regularly and are fitted with the right brushes, squeegees or other consumables for the cleaning job at hand it makes life so much easier for the customer and for us”. He went on to say that “the reason for this is that we are less likely to be called out at short notice for urgent repair as a result of a lack of regular maintenance or incorrect accessories causing damage to the machine, We often see this resulting in unplanned cleaning downtime which is stressful and frustrating for any business”. It’s quite obvious that he takes pride in his work and really wants what’s best for customers. Andy gets the Orbis Duo 400 Polisher off his van and it’s soon with a happy customer. Andy provides a comprehensive delivery pack with the new machine. He also offers some advice to new cleaning staff about regular cleaning and care to lengthen the life of the machine and to minimise unexpected breakdowns in the future. 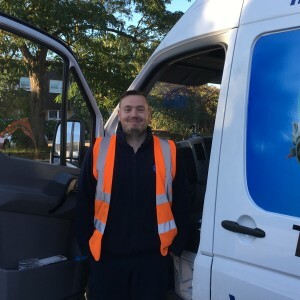 Andy’s experience in these situations often comes in very handy and he is always willing to offer useful operator tips and advice to help customers optimise their cleaning operations. We were just about to leave for the next job when the customer realises he has run out of cleaning chemicals and also needs replacement pads for a scrubber dryer. 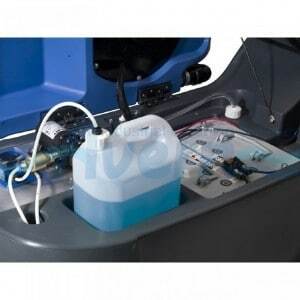 Andy finds the right chemical and replacement scrubber dryer pads in his van. The advantage of using larger than average vans is that Clemas are able to carry with them a good amount of commonly used consumables stock. Andy explains, once we are back on the road. that “The ability to have in my van consumables such as squeegees blades, brushes, pads and chemicals in case these are needed comes in very useful and our customers find this extremely helpful as we have just seen”. Andy went on to say ”We won’t always have the right consumable on board but on most occasions when we do it saves so much time and hassle for the customer”. We set off to Cardiff for the next job. Traffic in Bristol is particularly bad but each engineer’s day is planned carefully with plenty of time allowed for traffic delays so customers are less likely to be kept waiting. It’s lunchtime before we know it and the ham and cheese sandwiches go down a treat. We discuss Andy’s latest tattoo and the inspiration behind this work of art. The tattoo is on his calf and is a lion wearing a crown. It has no sentimental meaning but was instead chosen for its artistic value, the detail is amazing. Andy chats to me about his role as a cleaning machine engineer. Andy enjoys the job because it’s so varied, from the different people he meets to the repairs and servicing challenges, no two days are ever the same. He has been on a number of refresher training courses and these help to keep his skills alive and up to date with the latest machine features and technology. We have engineers who have been at Clemas for up to 25 years and they don’t tend to leave us that often. Clemas has a good team who are carefully recruited using stringent criteria. Amongst the main criteria is experience and attitude so that our customers are always given the best possible service. I ask Andy what are the challenges of the job and he says “some places we operate in on the outskirts of London are a challenge for parking. Negotiating the very busy roads and figuring out alternative routes when the traffic is bad can also be challenging. Often a challenge but becomes easier with experience is being able to diagnose machine faults quickly. Andy prides himself on being able to do this relatively quickly, this is largely down to working with many different makes and models of cleaning machines over the years. After lunch we have a service appointment on a large ride on sweeper at a warehouse in Cardiff. Andy carries out an extensive number of visual and manual machine checks of the sweeper, discusses, agrees and gets on with the extra work needed to keep the sweeper in tip top condition. Afterwards a full comprehensive service report is written up and given to the customer prior to leaving. Andy also takes the opportunity to help new cleaning staff and demonstrates how to clean the ride on sweeper and also how to change the brushes when they have become worn. Andy says “This is all part of the service and comes at no extra charge. We are keen to help our customers get the most out of their machines. A machine running well will really improve the end result and if serviced regularly will prevent unexpected breakdowns and raise the quality of cleaning”. The journey back to Tewkesbury gives me time to reflect on a very interesting day. I now understand how important it is to have engineers who are passionate about what they do and have enough experience to be able to quickly and efficiently help businesses get their cleaning machines working at their best and so preventing cleaning downtime. Andy explains that “there are few companies like Clemas that have the expertise to service and repair the larger more complex industrial cleaning machines where experienced, well trained engineers make this possible, in addition, being Safe Contractor approved means health and safety is a very high priority for us”. We finally arrive back at the office and the day’s activity as well as any customer comments and feedback are discussed with Louise, the Office Manager. 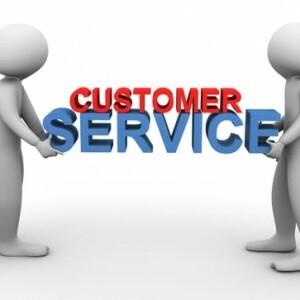 At Clemas we listen to our customers and any comments or suggestions are taken seriously so that we can continually improve our offering and therefore the customer experience. I have enjoyed my day out with Andy and I go home happy that I have got to know Andy better and our servicing and repair part of the business. Andy is going to spend the evening watching Game of Thrones and planning his next tattoo design. I can’t wait to hear what it will be. BOOK YOUR SERVICE TODAY for a more cost effective approach to cleaning and avoid the inconvenience and unnecessary downtime from breakdowns or worn out brushes, squeegees pads and other consumables. 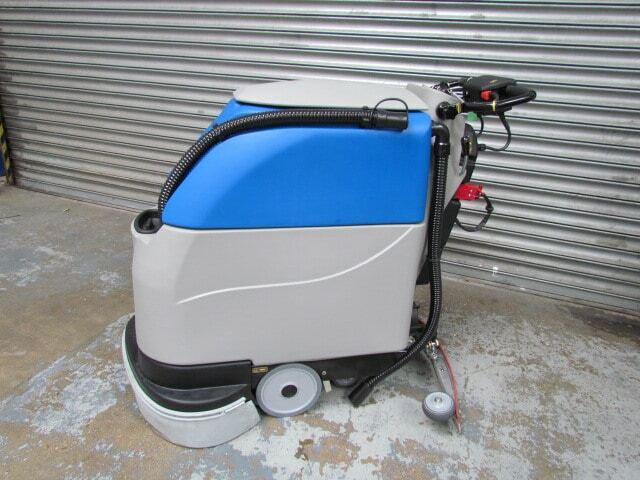 The right choice and application of cleaning chemicals for your walk behind or ride on scrubber dryer is an important part of a cleaning function that could prove costly to your business if careful consideration and planning is not carried out before the cleaning starts. There are lots of different choices now than ever before and so it can be confusing and time consuming to get it right. What type of chemical? How much chemical do I need? How do I use it? Can I use the same chemical on my ad hoc cleaning project on a different floor surface? Don’t waste time trying to figure out what chemicals you need, free up your time to concentrate on other areas of the business by giving us a call on 01684 850777 or e mail us on service@clemas.co.uk and we will organise it for you. 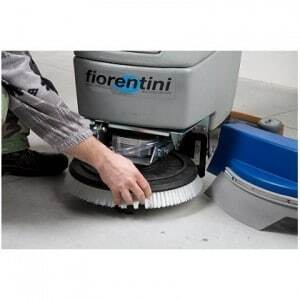 Clemas & Co supply Fiorentini spare parts and accessories for floor cleaning machines to the UK and Ireland and as you well know, good service is crucial so the correct parts get to you as quickly as possible with minimum hassle and the least possible disruption to the cleaning schedule. Jo Browne is the parts and accessories supervisor here at Clemas, she manages the sourcing, stock control, supply and distribution of Fiorentini parts and accessories, some for machines that are no longer in production. Since joining four years ago she has gained an impressive amount of knowledge and experience, Jo brightens up the office with her cheery disposition and frequent banter with suppliers and customers throughout the day. I know that the good service reputation we have hasn’t come easily, so how does she manages to juggle everything and still remain so cheery? I decided to take a look at what a typical day in the life of Jo Browne looks like…. Jo is up every morning at 5.30am and after feeding her 2 rabbits, 2 dogs and 2 cats she takes her dogs for a walk and then off to the stables to tend to her pony, Danny before her working day at Clemas even starts. After half an hour of manual labour to make sure Danny is groomed and fed she arrives at the office warmed up and ready for the busy day ahead, sometimes with one or two small pieces of straw in her hair from the stables! Spares For A Cleaning Machine No Longer In Production, Not A Problem! With a strong cup of coffee in hand the first hour gets underway in the usual hectic fashion and an urgent customer request is the priority. A food manufacturer based in Manchester rings Jo and wants a spare part for an ageing scrubber dryer that is no longer in production, this is a tricky one where Jo’s experience puts her at an advantage, her good relationship and knowledge of the parts suppliers she deals with comes in handy, she is soon on the phone to the one she knows would be most likely to stock this particular part. The usual banter and laughter is heard in the office and after a few minutes the part is sourced and will be on its way to the first happy customer of the day, I’m sure her sense of humour gets her to the front of the queue with the suppliers she deals with. Next some e mails to attend to, one of these is a large shop who want replacement brushes and squeegee blades, it’s good that we stock a wide range of floor cleaning machine accessories in our warehouse so these can get to customers quickly. A car showroom who needs a replacement brush for their scrubber dryer is in Wales, Jo first checks to see if an engineer is in the area today doing a routine service and luckily there is so she arranges for the brush to be dropped off en route. Although not possible every time a brush is ordered, it’s an example of great service which is made possible because most of the Clemas team are under one roof so working with the engineers is much easier. Replacing worn squeegee blades depends on the frequency and the type of cleaning task, after a discussion and some advice on this, it’s ordered and will be shipped using our trusted courier service. An hour of stock control work in the warehouse is next and a mid-morning coffee is needed to keep up the momentum and we find out Jo has brought in a homemade cake, is there no end to her talents? If you’re ever near our office in Tewkesbury and you prefer to collect your spare parts you may be lucky enough to try some of her cake yourself, that’s what I call going the extra mile for our customers! The rest of the morning is fuelled with several more cups of coffee while Jo deals with phone orders and e mail enquires sent via our website, https://www.clemas.co.uk She receives a delivery of Fiorentini batteries and checks that the order is correct. She also finds time to help our new sales team member to understand the different scrubber dryer pads that are available for the Fiorentini machines, she explains which one suits which particular cleaning task since there are particular ones for different tasks. Lunchtime is upon us and I have lost count how many coffee’s Jo has had already, maybe this is the secret to how she manages to juggle everything to keep our customers happy and their cleaning machines running well. After a quick bite to eat it’s back to work. The afternoon begins with an engineer needing a solenoid valve and some connectors for a cleaning machine refurbishment. Jo worked with him to get the correct part number and quickly found most of the parts in the warehouse. One particular part that wasn’t in stock usually takes a week to arrive, with Jo’s experience and a little tenacity she finds another supplier who can get the part to us in 2 days, saving the customer several days cleaning downtime. Another job well done. By mid afternoon Jo proudly shows everyone a video on her phone that has been sent to her of her dog Lucy who has just been on a long walk, after this joyful distraction it’s straight back to work with more happy conversation and chuckling with a customer who has bought Fiorentini parts from Clemas for several years, maybe it’s not just the good service but also the friendly personal touch that keeps customers coming back to us. As the end of the day approaches and having followed her day closely I am convinced that Jo really gets a buzz out of her role at Clemas. She genuinely enjoys her interactions with the various people she deals with and the challenges each day brings. Jo rushes off for a well deserved rest and spends the rest of her day enjoying time with her pets and relaxing at home before another busy day begins. As we face the future, it is certainly a very different environment to 12 months ago for UK business both large and small. The decision to leave the EU has left many business owners and management more uncertain about how successful and competitive UK business will be in this new world. Budgets are squeezed each year even in the most stable of times, so with Brexit on the horizon and some cleaning machines costing several thousand pounds, it may be that we see more businesses opting to ease cashflow or delaying the decision to spend large amounts upfront by spreading the cost to smaller monthly amounts by hiring cleaning machines instead. “Cleaning is a serious issue since lack of compliance with legislation can prove very costly to your business and it’s just not worth the risk”. The Provision and Use of Work Equipment Regulations 1998 requires work equipment (for example a scrubber dryer) to be well maintained as well as suitable selection of accessories and the provision of training in its use. With this in mind, Emma goes on to say “the choice to hire becomes more of an attractive option to the facilities manager, the work involved in servicing and maintaining the machine is down to the cleaning company instead, freeing up resource to concentrate on other areas of the business”. “The machines are thoroughly serviced on site on a regular basis as part of the hire contract, this means no time wasted arranging a service and possibly taking the machine off site. A service typically lasts only a few hours so minimal cleaning down time. Unexpected breakdowns which cause huge inconvenience and wasted time are reduced by always having a machine in tip top condition, especially important when a shop or public space needs to be kept clean at all times. When hiring a machine, Clemas will make sure all necessary accessories are replaced when needed, the facilities manager will get a quality cleaning job first time, every time. All these things add up to time saved for a more cost effective efficient cleaning solution”. Hiring can give you the flexibility when you need extra cleaning machines, giving you access to a wide range of equipment within days. Emma said “We have invested heavily in our fleet of cleaning machines for hire giving our customers more choice than ever before. Hiring can be from one week and can extend to up to three years if necessary. Clemas makes it so easy to hire, the great customer services and expert advice means you will get the right machine for the job. 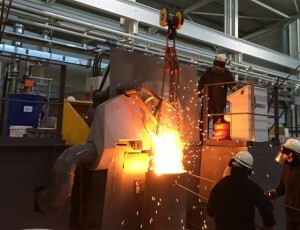 Our experienced engineers can provide an onsite demonstration if needed and training on safe use and operation of the equipment is a high priority”. “This year we have seen a steady increase in companies of all sizes hiring cleaning machines instead of buying new” says Emma “the market is changing, businesses now prefer the flexibility of having a cleaning machine to use quickly without laying out significant sums of money up front for a new machine”. Emma also mentioned “The hiring term often gets extended and we are flexible with this. We have had businesses initially hiring for a week and then extend this for a longer period until they are ready to make a decision about how they will manage their cleaning operation in the long term. We have also seen customers benefitting from hiring for a short-term period to make sure it’s the right machine for them before investing what can be a significant amount of money for a machine. So as we plan for the year ahead as Brexit becomes more of a reality and uncertainty increases, hiring of cleaning equipment could be a safe bet for your business. We have a range of hiring options to choose from at competitive rates. After recently joining Clemas & Co and being completely new to the cleaning industry I was keen to find out how this family run business has managed to thrive in what I am told is a very competitive industry. Clemas has been supplying and servicing industrial floor cleaning machines for 29 years and one of the first things I noticed was that everyone who works here is very proud of the personalised service they give to their customers. I also quickly noticed the effort everyone puts in to make sure each customer is treated as an individual, this means they got a bespoke cleaning solution and, for example, after getting expert advice it often means customers end up buying a different machine to the one they initially had in mind, but it’s the right one for the job and it can sometimes end up a more cost effective option. As the well known saying goes, there are always two sides to a story, so I decided to get a balanced view and find out from one of our customers if my first impressions about good service were actually correct? Were my colleagues wearing rose tinted glasses to work and being a little “creative” with the truth? “The nature of the foundry environment will create a build up of dirt that can be particularly problematic to remove from the floors”. Andy Dowell, a Clemas customer, and the facilities manager at JVM Castings kindly agreed to talk to me about his 13 year relationship with Clemas. Since 1925, JVM has been manufacturing aluminium die castings for the automotive and leisure industries and has two large sites in Tamworth and Worcester. Andy explained to me that “The nature of the foundry environment will create a build up of dirt that can be particularly problematic to remove from the floors. Over the years various abrasive solutions have been trialled that often, if used incorrectly, had the potential to damage the floor”. “The good relationship between JVM and Clemas has been based on good service support, keeping the equipment well maintained & promptly repaired if required”. The manufacturing plant is a particularly challenging environment to keep clean and avoid trips and falls from oily floor surfaces and debris. Andy went on to explain “Working closely with Clemas we trialled several styles of cleaning equipment before jointly concluding what was best suited to JVM’s requirements. This has resulted in a good relationship between JVM & Clemas based on 1, a good technical understanding of JVM requirements, 2, putting equipment in place that is capable operating in the associated environment and 3, good service support keeping the equipment well maintained & promptly repaired if required”. I was starting to realise the good relationship between us and JVM was based on nothing more than good old fashioned service when he said, “I know with Clemas it’s simple and hassle free, I get honest advice on the best machine to suit my particular cleaning jobs and they just do what they say they are going to do, I don’t have to worry about whether the engineer will turn up on time to service our machine or whether my new cleaning machine will arrive when I need it, and that’s exactly what you need from a supplier in any business but especially in the manufacturing industry where reliable suppliers are vital”. So after also getting a customer’s view of what Clemas is actually like and I now have both sides of the story. I am starting to believe my colleagues but needed one further piece of information because what if JVM was a one off? Can Clemas really provide exceptional service for all customers and not only JVM? After I did a bit of further investigating I was finally convinced as the numbers spoke for themselves, a staggering 97.1% of customers have renewed their long term service/maintenance contracts when they expired, and the majority have remained loyal customers for several years. There are so many suppliers you could buy your next floor cleaning machine from and it’s often the case that the machine features and getting the best price is the priority. It’s worth considering that this could prove costly in the long run for your business since there are ongoing maintenance activities that are arguably more important than the initial purchase. Expert user training and support. Highly qualified experienced engineers for servicing, refurbishment and repairs. Reliable independent advice on the right cleaning chemicals to use. Helpful guidance through the minefield of choice on brushes, squeegees and other consumables. So make sure you choose a company who has people who put the customer first in everything they do. This is mostly what sets one company apart from the rest and this is what we recommend you base your choice on when purchasing a floor cleaning machine. Poor service could prove costly to your business in unnecessary delays for provision of chemicals and consumables, poor advice on product choice leading to disappointing cleaning results or unnecessary expenditure, longer than expected machine downtime when repairs take longer than expected are just some ways your business could suffer. We have been in the cleaning industry since 1988 which gives us the knowledge and experience to help you. Last year our customer service was rated as excellent by more than 90% of customers and an incredible 100% said they would be happy to recommend us. for everything that’s involved in a quality floor cleaning result. A wide range of quality new and used floor cleaning machines to suit all budgets and the choice to hire from one week to three years is available. Look no further for servicing, spares, repairs and consumables. Call us on 01684 850777 or e mail info@clemas.co.uk for expert advice on all aspects of industrial and commercial floor cleaning. 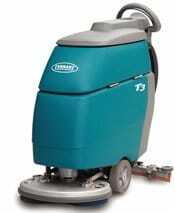 Industrial floor cleaning machines come in all sizes, they are not just used for larger areas. Small floor spaces can often have high usage such as entrance lobbies and toilets, so cleaning these areas with a mop or broom can be time consuming, unproductive and hard work. Matching a machine to your individual requirements is fundamental to Clemas, as we believe you will be amazed at the time, money and effort you will save by using an industrial floor cleaner, even in the smallest of spaces. No need to mop! 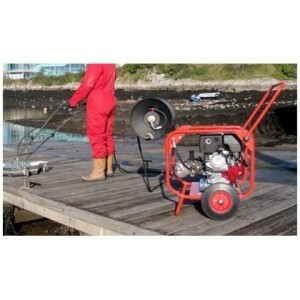 the Motor Scrubber is a portable lightweight cordless machine that allows work to be undertaken anywhere. This multi-talented machine can be used inside or out, it can also either scrub or buff by using a choice of brushes or pads. It has been designed to clean all those hard to reach places that larger machines cannot reach. 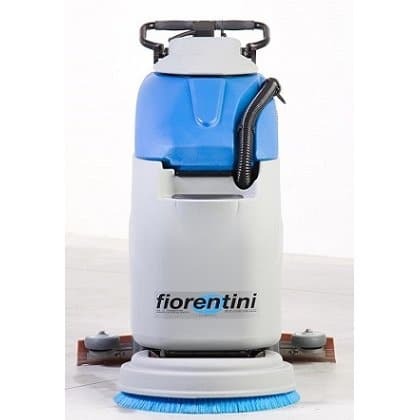 Rather than using a broom, the Fiorentini Whisper Vacuum is an ideal portable machine to use in small spaces, it is also light to carry so can be easily moved around your site to assist everyday cleaning needs, making it efficient and a cost effective use of your cleaning operatives time. For further information, why not give our friendly sales team a call on 01684 850777 or send us an email to info@clemas.co.uk. Collicutt Meats Haven’t Minced Their Words! Clean Up With Ease, Making Your Life That Little Bit Easier! With lots of jobs to do and quite often not enough hours in the day, we are all striving to maximise the use of our time. We all know that using a floor scrubber dryer is a far quicker and more productive method than using a mop and bucket, not to mention a more effective way of actually removing the dirt from your environment. 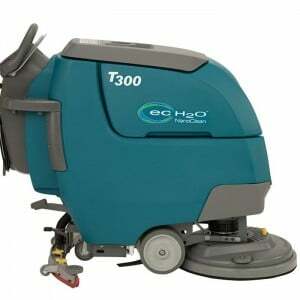 Using a chemical suitable for scrubber dryers can help take this to another level, allowing you to tackle a whole range of site related cleaning issues, including floor cleaning preparation and maintenance, the presentation of your company and also from a compliance perspective – a must these days for site safety. Although all of our chemicals emulsify the dirt and break it down, each chemical will work in a slightly different way allowing different areas of your operations to be cleaned effectively. It doesn’t matter what your application is, we will have a chemical fit for purpose that delivers the finest results time after time. 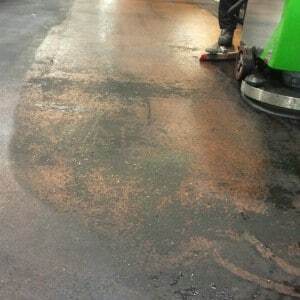 For an initial deep clean of a workshop floor where heavy oil and grease soiling is a problem, we would recommend Remedial Floor Cleaner. A heavy duty remedial pre-clean detergent designed to break down thick deposits of ingrained and impacted soiling from industrial floors. If plant equipment is in use in the areas you are cleaning, HD Powerscrub is extremely effective in removing the more stubborn dirt and stains and can be used in conjunction with a Remedial Floor Cleaner. If you have particularly stubborn rubber deposits such as fork truck tyre marks that you wish to remove, Hydra Tyre Mark Remover chemical has been designed to tackle these. 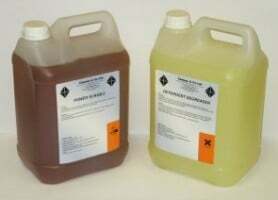 For your ongoing maintenance cleaning of a workshop floor, Multiscrub is a versatile medium duty floor cleaning chemical, and Ultrascrub is an excellent heavy duty floor cleaning product suitable for oil and grease deposits in industrial applications, and both chemicals are ideal for regular use. If you require an odourless, mildly bacterial chemical for use in food manufacturing and processing plants, Bioscrub can cut through biological soiling. Most of the chemicals are designed to go within your floor scrubber dryer’s clean water tank. If the dirt has been sitting on the floor for some time it can take longer to remove the layers. To gain a better result faster, you can go over a section of floor with the scrubber dryer and chemical but leave the vacuum off, scrubbing your floors and allowing the chemical to sit for a few minutes breaking down the dirt. Once a few minutes have passed you can go back over the area with your scrubber dryer as normal, collecting all the water and chemical to see a much cleaner result. You can even do this if you just wanted to go that extra mile!! If you wanted to talk to us, we are always happy to discuss any of your cleaning requirements so please contact our sales team on 01684 850777 for further information or complete our contact form.